In 2016, the Toronto Maple Leafs celebrated their Centennial Anniversary home opener. Attendant to that 100-years’ celebration was a retrospection of Maple Leafs’ history. At the time, a number of lists of “the best Maple Leafs’ players” of all time being were constructed. In 2015, THW’s Andrew Forbes researched and reviewed the Maple Leafs’ all-time greats at the different positions. These posts are worth finding in THW archives and reading. In my post, I would like to bounce off Forbes’ work by comparing current Maple Leafs’ players to the top two forwards he named at each position. Obviously, such assessments are based upon speculation about how these young players might play over the next few seasons – not accounting for injury or being signed away from the Maple Leafs. Except for the position of center, where I have used my own research to name the best three Maple Leafs’ centers of all time, I have thankfully accepted Forbes’ top two wingers – on each side – and compared them to the current players on the Maple Leafs’ roster I believe has been the best (Patrick Marleau) or will become the best (Mitch Marner). In 2016, CBC Sports named Dave Keon the best Maple Leaf player of all time. Keon was with the team during its greatest success and won four Stanley Cups. His length of service (15 seasons) in the Blue and White makes him a leader in many categories. He’s the only Maple Leaf to ever win the Conn Smythe Trophy as playoff MVP. During his rookie season (1960-61), like Auston Matthews and Frank Mahovlich, he was named the NHL’s top rookie. He was the Maple Leafs’ captain from 1969-1975. 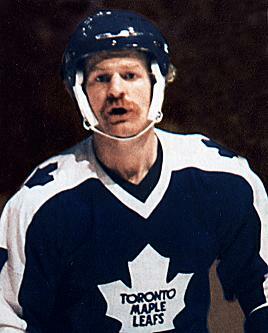 Darryl Sittler played 12 seasons in Toronto; and, in 10 of those, the Maple Leafs made the playoffs. Sittler was a top-10 finisher for the Hart Trophy five times and had five 40-goal seasons. He holds one NHL record that never will be broken: in 1976, he scored 10 points (six goals and four assists) in a single game against the Boston Bruins. Sadly, Mats Sundin played for the Maple Leafs during their Stanley Cup drought. He played 13 seasons with the team and remains the Toronto’s all-time leader in both goals and points. He was the Leafs’ captain from 1997 to 20o8. I think Auston Matthews could become the best center in Maple Leafs history. As a rookie in 2016-17, he scored 40 goals and won the Calder Trophy as Rookie of the Year. Last season, although injury-shortened, he averaged a point-a-game (63 points in 62 games). Still only 21-years-old, this season Matthews has 34 points in 23 games played (19 goals, 15 assists). Despite missing games with a shoulder injury and playing without William Nylander – his regular winger, Matthews is on pace to shatter personal records. He’s a mature player, who seems ready for the spotlight of playing in Toronto. It’s easy to forget that John Tavares is only 28 years old – he seems to have been a great player for a long time. In his first season with the Leafs, he is looking to shatter personal records – he’s on pace to score over 50 goals this season. He’s in his 10th season – the nine previous with the New York Islanders – and has played 706 games, with 296 goals and 367 assists. Although these are star numbers, this season he’s scoring even better – more than a point a game (37 games, 42 points). The indication is that Tavares will stay with the Maple Leafs for a time. He has shown quiet leadership and scores when scoring is needed. Perhaps not as flashy as Matthews, when consistent is defined in the dictionary, Tavares’ photo is beside it. Related – Maple Leafs’ Trade Bait: What Marlies Forwards Might Leave? 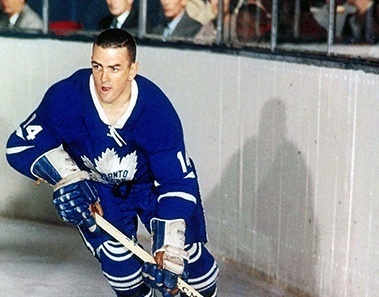 Forbes’ 2015 post named Frank Mahovlich as the Maple Leafs’ all-time best left-winger. After a 20-goal and 36-point season, he won the Calder Trophy as rookie of the year in 1957-58. Mahovlich played 12 seasons with the Leafs; and, in 720 regular season games, he scored 597 points (296 goals, 301 assists). He led the Leafs to the playoffs nine times and won the Stanley Cup four times. He leads all Maple Leafs’ left-wingers in scoring. He was inducted into the Hockey Hall of Fame in 1981. The Maple Leafs drafted Wendel Clark first overall in 1985. Clark proved to be more than an offensive player; he could control a game offensively and physically. Clark captained the Maple Leafs from 1991 to 1994. In 608 regular season games, he scored 260 goals and added 181 assists – helping the Leafs to seven playoff seasons. My comparison with the two best Maple Leafs’ right-wingers of all time is Patrick Marleau. 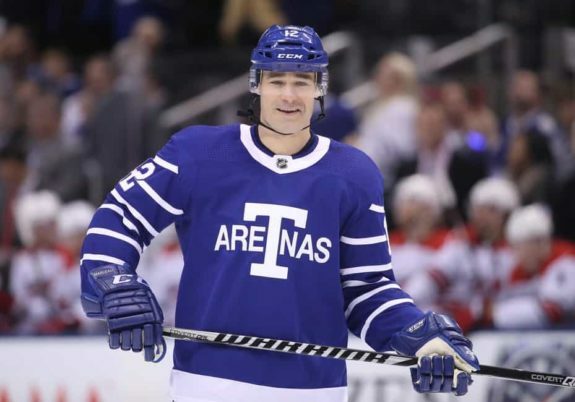 Although Marleau has only played two seasons with the Blue and White and won’t play past his current contract, he is too proven of a star to ignore. In the 1,612 games Marleau has played, he has 545 goals and 604 assists. His 119-game tenure with the Leafs has produced 37 goals and 30 assists. He’s no longer in his prime, but he remains dangerous. When Marleau played with the San Jose Sharks, he set almost every offensive record in franchise history. During his time with the Maple Leafs, Marleau has reached a number of personal records and career milestones. Specifically, when he played his 1,600th career NHL game, he became only the 11th player in NHL history to do so. Recently, he also became the 25th player in league history to score against each of the 31 NHL teams. In this 2015 post, Forbes named George Armstrong as the best right-winger ever to wear a Maple Leafs’ uniform. The Maple Leafs were the only team Armstrong played for, and he is one of only two right-wingers to play over 1,000 regular season games for Toronto in his 21-season career. He is the highest scoring right-winger in Leafs’ history. In 1,187 regular-season Leafs’ games, Armstrong scored 713 points (296 goals, 417 assists). He also helped the Leafs win four Stanley Cups and was a seven-time NHL all-star. In 2015, Armstrong’s statue was erected on Legends Row. McDonald ranks fourth on the Leafs all-time right-wingers list with 459 regular season points (219 goals, 240 assists). He went on to find even greater success in Calgary, but his time in Toronto was the beginning of his Hall of Fame career. Marner is a young, rising star with the Maple Leafs. This has been a breakout season. In his three seasons with the team, Marner has logged 196 games, with 53 goals and 127 assists. This season, he has an amazing 50 points in 37 games. Although he won’t be 22 years old until next May, Marner’s really good now. He’s a team player, who sees the ice, considers his teammates, and has a sense of what it takes to score. In a recent post about Marner, I wrote that he “might never become a generation player;” however, his recent play suggests my evaluation might be premature. I admit to be biased by the now. I think this is a really strong Maple Leafs’ team. Furthermore, when I look at this team, I am convinced players on this roster will have opportunities to one day make Maple Leaf history as among the best at their positions. Obviously, such an evaluation takes longevity – a productive career over a number of seasons. Few current Maple Leafs will likely have an opportunity to play a 21-season career with one team – the NHL simply isn’t built that way any longer. But, the talent is there for really productive careers for these young players. Marleau’s career is winding down, and only a small part of it will have been with the Leafs. 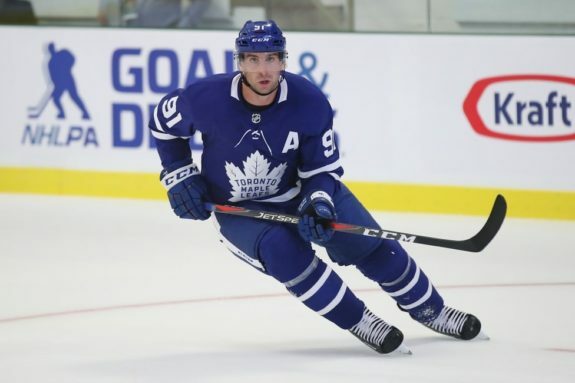 Tavares has a chance to play several seasons with the team, and certainly has the skill and leadership to make a difference over the long haul. Matthews and Marner are fantastic young players, who might be with the Maple Leafs for a long time. Who knows? If they continue their career paths as they have been proceeding so far, there is a chance these two will rank high on the list of all-time best Maple Leafs’ players. Related – Maple Leafs on a Roll: Marner, Rielly, Marleau, Johnsson…and Nylander?